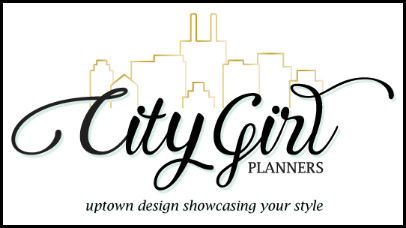 Today, the Trendy Gals are focusing on memory keeping. Whether it's a big celebration or an everyday occurrence, document it. 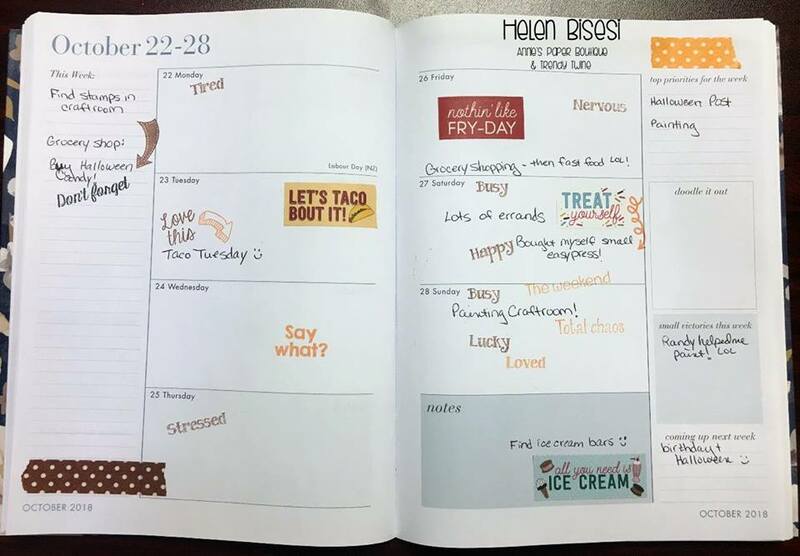 You can do an elaborate scrapbook layout, a simple journal entry, or a short note in your planner. Whatever your style, make it work for you. Be sure to use the links to their blogs to see all the details! 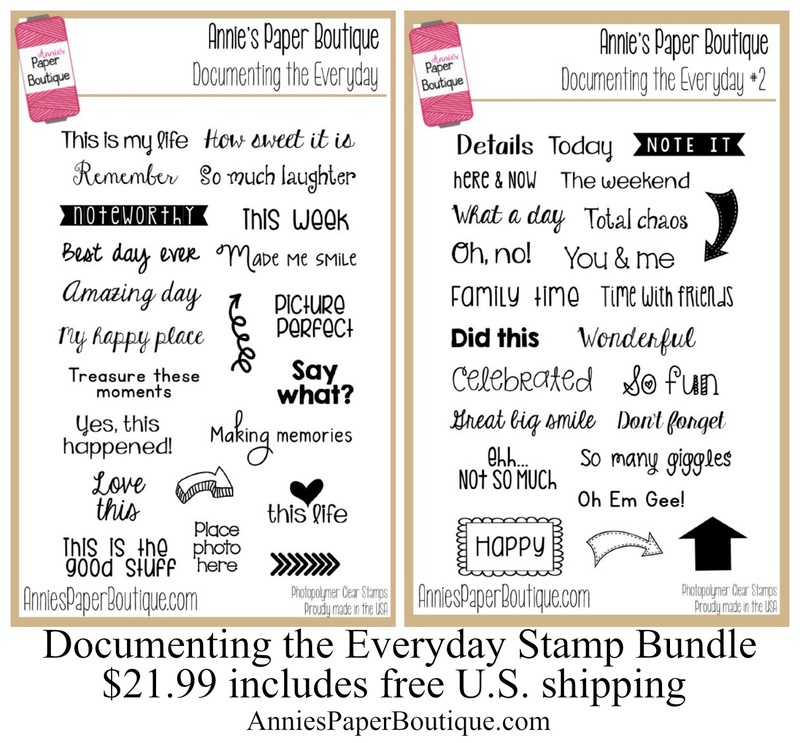 Our Documenting the Everyday and Feeling stamp sets were created specifically for journaling and memory keeping; and they are perfect for planning, too. There are a ton of words and phrases to pick from to add to your project. Our stamps are high quality photopolymer and leave a nice, crisp image. Right now, they are on sale so it's a great time to snag a bundle or two. We hope you're inspired to do a little memory keeping of your own. 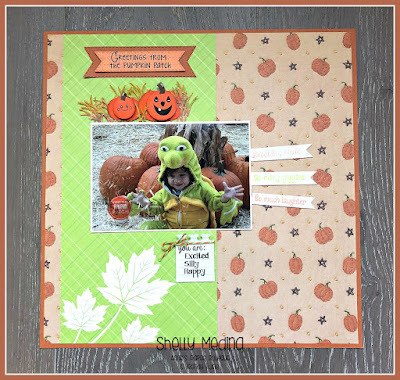 This is Shelly from My Paper Love stopping in to share another fun Halloween treat. I am just loving all the fun Halloween treats that everyone has been posting this month. 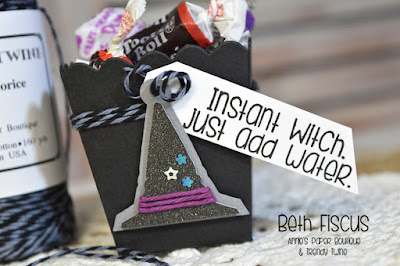 I have another fun treat that is great for a Halloween treat. 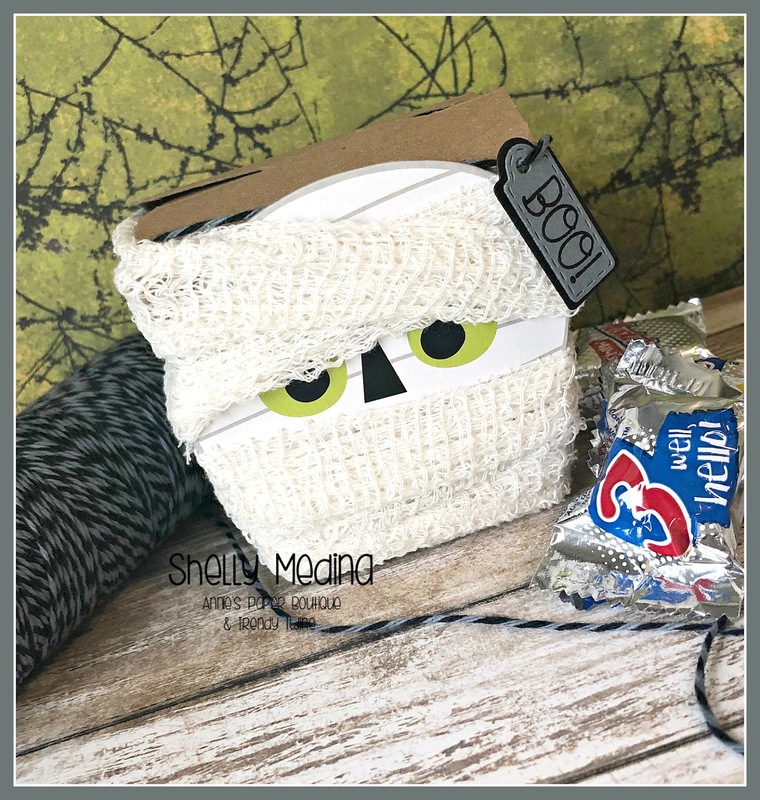 I've seen many crafters make some similar "Mummy" treats and wanted to try using the Annie's Boutique Kraft mini Take out box. 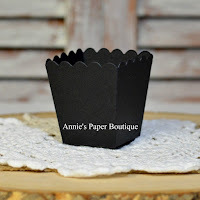 I started with wrapping the Annie's Boutique Kraft mini Take out box with gauze that I found at Target in the dollar bins. I just loved the cute way that the gauze was packaged so I kept the face of the packaging and adhered it to the box. I created a fun tag that I stamped with a sentiment from the Happy Halloween set. 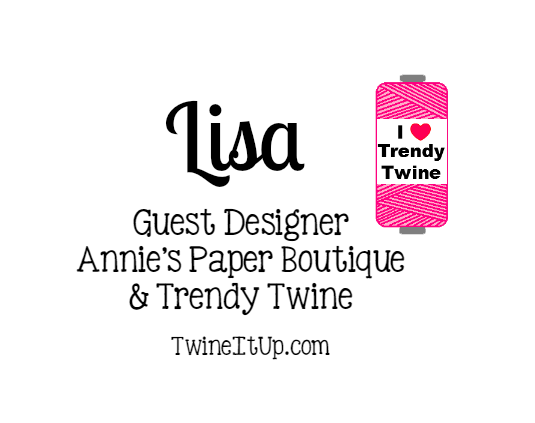 I tied the tag with Gray Licorice Trendy Twine. I filled the box with lots of Halloween candy! 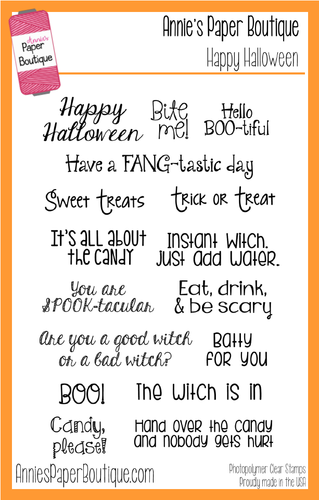 ...and there you have a treat fit for any little trick or treater! 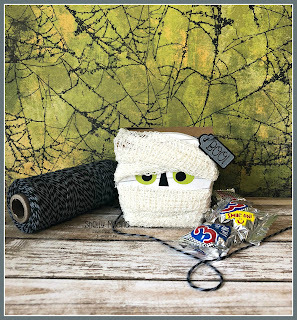 Be sure to stop by the blog to see all the fun projects this month! We are sharing some awesome treats! The Trendy Twine color of the month is Gray Licorice and it's a festive twist of black and gray. 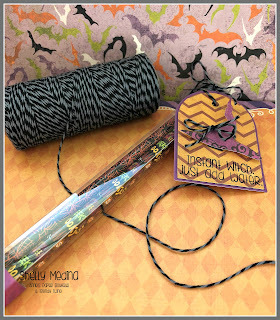 This twist was originally created with Halloween in mind, but it's perfect enough to use all year long. 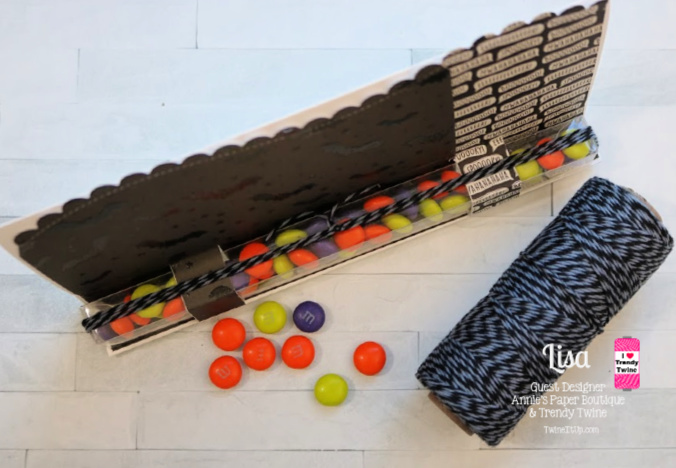 Our packaging for this month is the Skinny Candy Chutes. 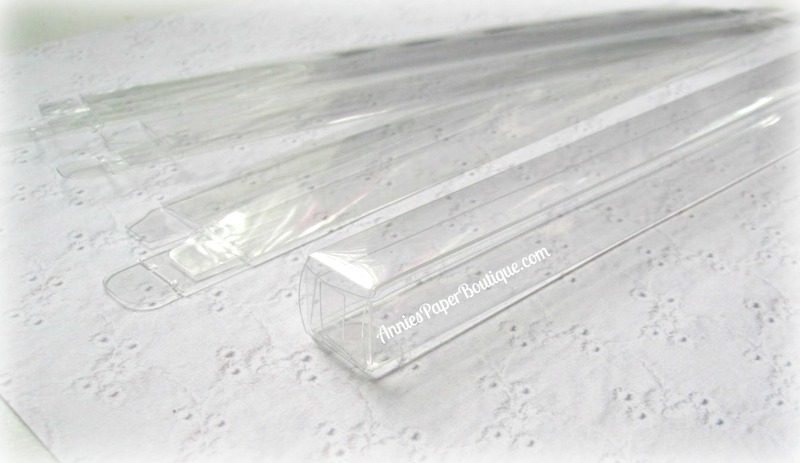 These clear boxes are great for M&Ms, jelly beans, and small gumballs. 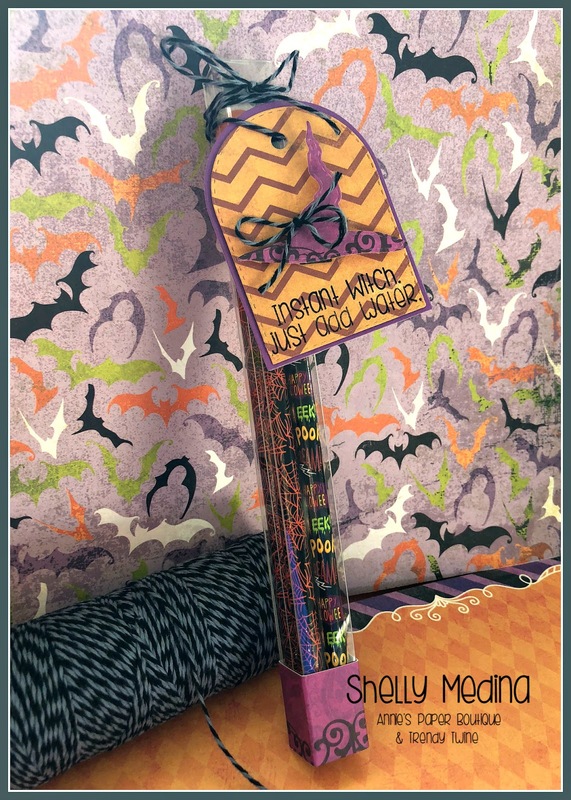 They are 8" long so you can even slide a pen or pencil in if you are wanting a non-candy treat. Welcome back, everyone! Lisa from The Relativity of Paper sharing my last Guest Design post for October. 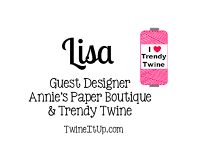 Thank you for having me, it was an honor to be a part of the Trendy Twine community. Since we are heading into the holiday season I want to share a holiday/seasonal card. 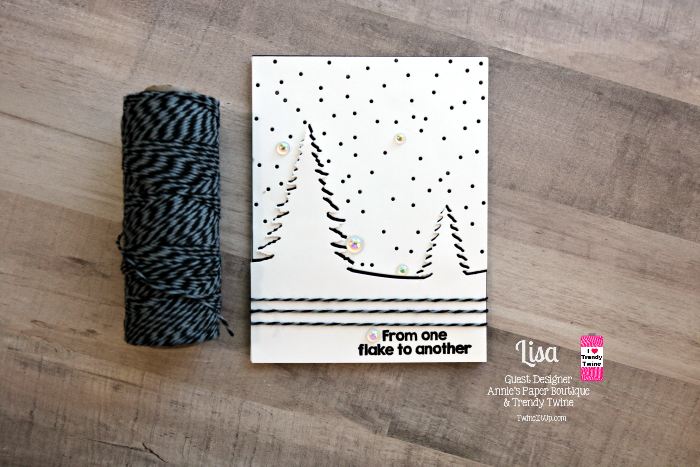 I'm using the Let It Snow Stamp Set along with Trendy Twine in the color Gray Licorice. This month has been a blast and I found myself reaching for products that I rarely use. I should use them but we sometimes find ourselves getting comfortable in our ways, even crafting. As I sit here writing this post what I want more than anything is to be in my craft room with a few stencils and shimmer paste. I love that stuff. And making this card reminded me of that. To my surprise, I don't own a snowflake stencil, wha?! Okay, grab a stencil that looks like falling snow. YES! I have one of those. And that's how this whole card started. It's super easy to do. Using a heavyweight coverstock, you know that #110 stuff, add shimmer paste over a stencil and pretend you're icing a cake. Hey, it's what I do. Set the card panel aside to dry and clean up stencil and spatula. Die-cut or stamp a snowman, put the snowman together or color if you stamped. Using patterned paper and the Let It Snow Stamp Set stamp sentiment using black ink, cut at an angle the patterned paper and a scrap piece of paper, want the angles to be exact? Cut the patterned paper and scrap on the angle together, then cut the length on the opposite ends. 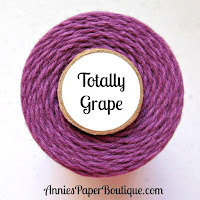 Use the scrap piece of paper to wrap twine around. 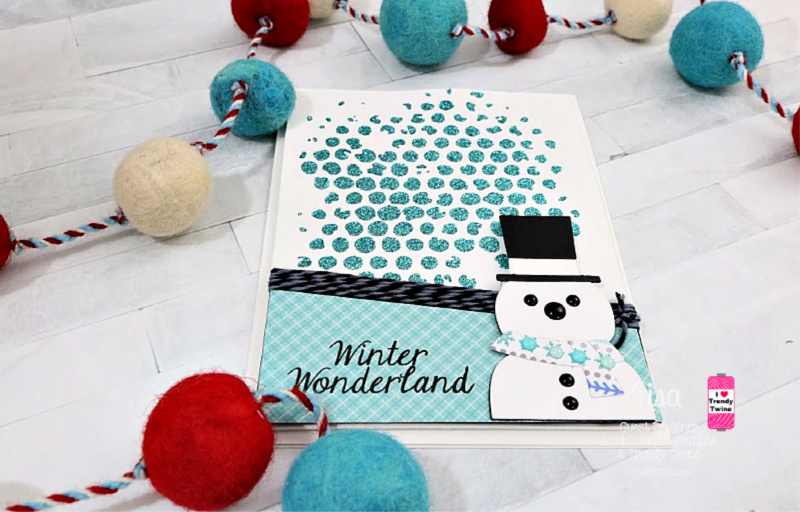 Adhere patterned paper right below twine, add snowman with 3D mounting foam, finish the snowman off with enamel dots. Add 3D mounting foam to the back of the stenciled card panel adhere to a 4.25" x 5.5" top-fold card base. Add patterned paper/snowman to the bottom of card panel using 3D mounting foam. 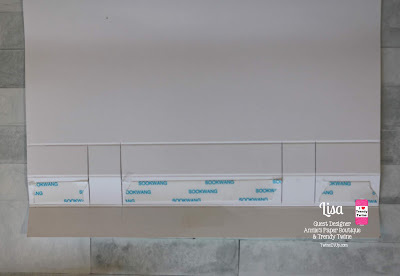 Guest Designer Lisa from The Relativity of Paper. Today I'm sharing black and white cards featuring one of October's Showcase Products, Gray Licorice Trendy Twine. Since I'm featuring Trendy Twine that is gray and black I thought black and white cards would be perfect and it gives me a chance to show you how easy these cards can be. 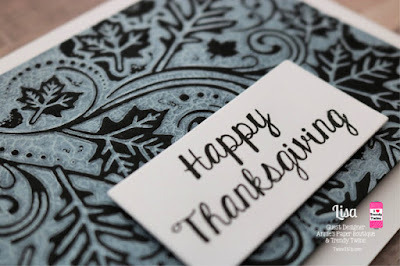 The Happy Thanksgiving Stamp Set has a lot of thankful sentiments that can be used year round. I decided to work with the So Thankful sentiment. This is a great guy card and super simple. I laid black in down on an embossing folder, inserted a 4.125" x 5.25" white cardstock, carefully close the folder and run through Big Kick. 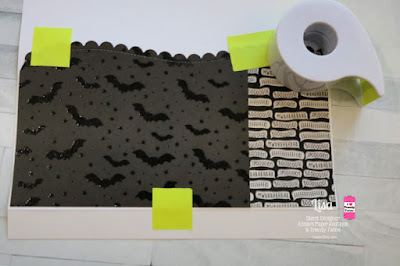 Tip: If you lay the cardstock on the opposite side of the ink and secure it with post-it tape you can re-ink the embossing folder and run it back through if you need to. Die-cut a piece of black cardstock to fit the sentiment; lay down some anti-static powder on black cardstock, stamp sentiment using VersaMark and heat set white embossing powder. 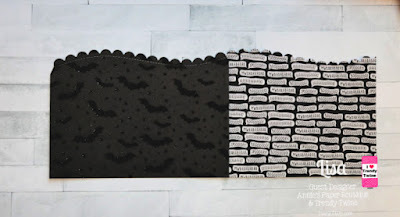 Add fun foam to the back if the embossed white cardstock, wrap Gray Licorice Trendy Twine and tie a knot, adhere to a 4.25"x5.5" card base, add the sentiment over twine using 3D mounting foam, finish off with a few clear sequins. This next card is just die-cutting white cardstock, layering it over black cardstock, stamp the sentiment on the bottom right corner, offset the bottom half of the die-cut and add 3D mounting foam, wrap Gray Licorice Trendy Twine around securing in place on 3D mounting foam, adhere to card base. I just iridescent drops to finish off the card. 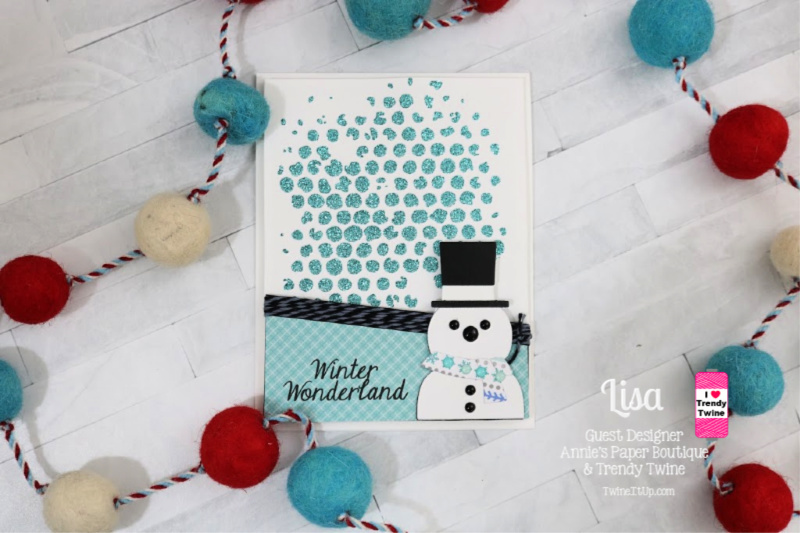 The sentiment can be found on the Let It Snow Stamp Set. This set has a lot of great sentiments. I did the same process of adding ink to an embossing folder and running it through the BigKick. I used white ink on black cardstock and ran it through several times each time adding more ink. I love the way the ink pulled giving it a crackled look. I decided to add clear embossing all over the white ink and heat set to really bring out that crackled look. 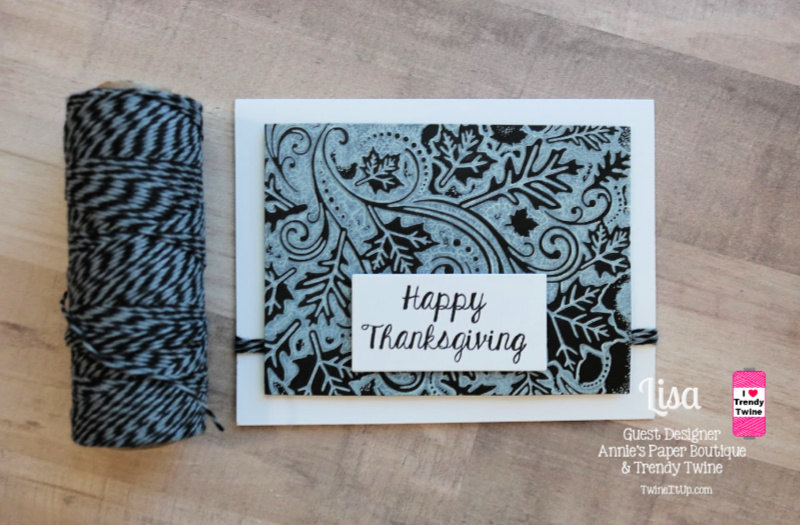 I wrapped the Gray Licorice Trendy Twine around the card base, added 3D mounting foam to the back of the embossed black cardstock, stamped the Happy Thanksgiving sentiment from the Happy Thanksgiving Stamp Set. So easy. Hello everyone! I'm Helen from HTB Creations and I'm sharing a bewitching Halloween card with you. I used the fabulous Gray Licorice Trendy Twine on it and some black sequins from the Grape Licorice Batty Sequins Mix. There are more fun projects to come this month so keep checking back! Today I'm sharing cards featuring the Happy Halloween Stamp Set and one of this month's feature products, Gray Licorice Trendy Twine. I'm sure we all find ourselves needing a quick card? 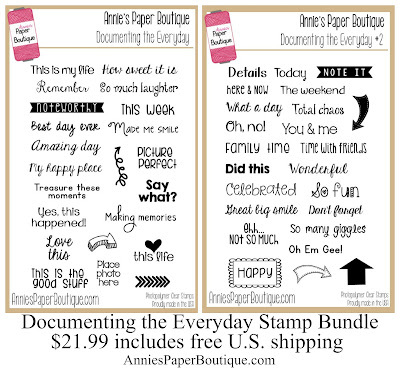 I love sentiment stamps because you can create a quick background with very little effort and produce adorable cards. 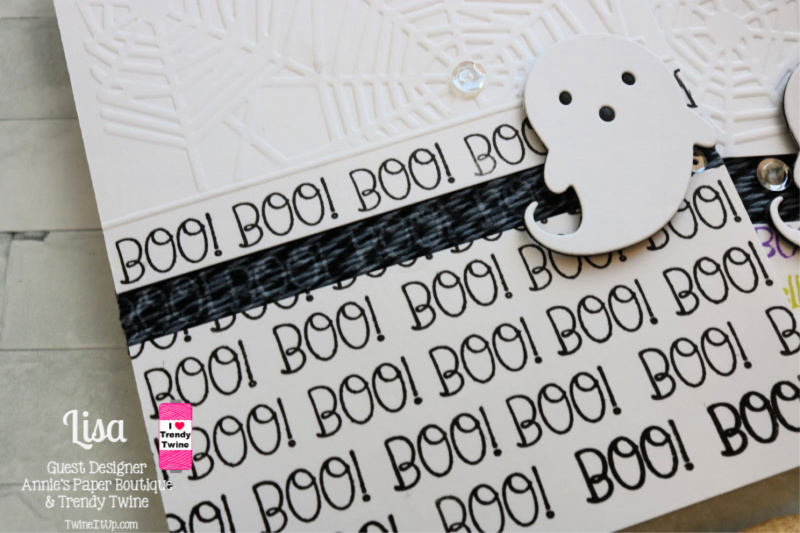 To create the cards above I stamped "BOO" along the bottom half of a 4.25" x 5.5" piece of cardstock, decided on the position of the cardstock and then cut it, the top half of the cardstock is cut down to fit the front of our card allowing for a reveal between the top and bottom pieces. 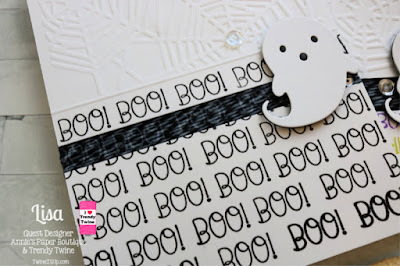 Wrap Gray Licorice Trendy Twine around your card base where you plan on placing the reveal and stamp the sentiment across the trendy twine with white ink. It's transparent giving a ghostly effect. 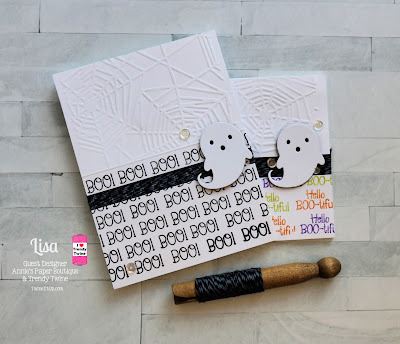 I decided to add a little interest by dry embossing cobwebs using my BigKick and scored a line between the cobwebs and BOO sentiment. Add 3D mounting foam to the back of the two pieces of cardstock and adhere to a 4.25" x 5.5" top-fold card base. I finished off the cards by including a die-cut ghost and a few clear iridescent sequins. 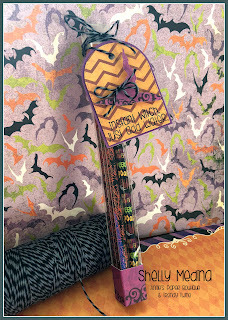 For the second card, I used the same process and stamped Hello Boo-tiful alternating Distress Oxide Inks - Carved Pumpkin, Twisted Citron and Wilted Violet. Hello all and happy Thursday! 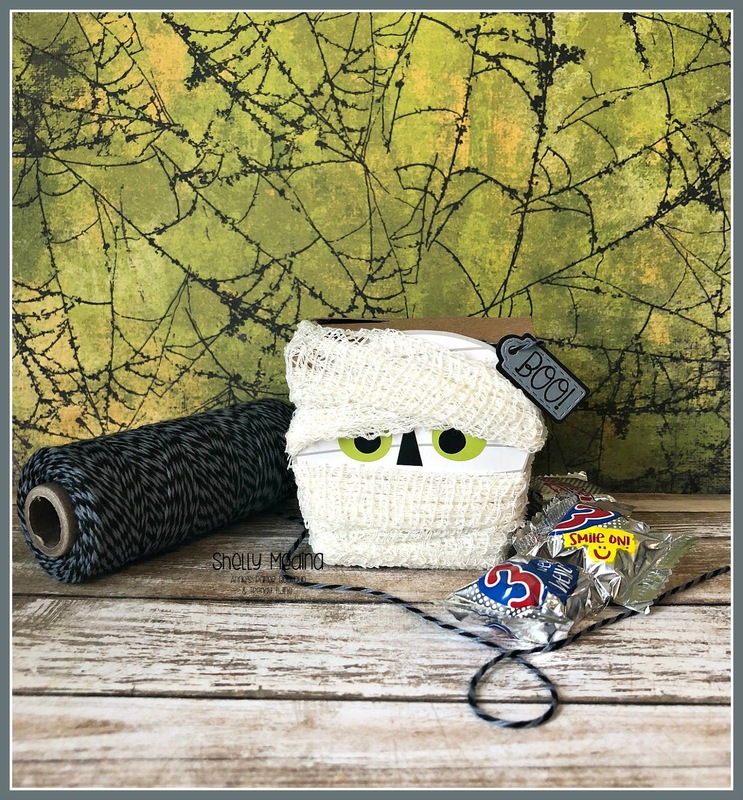 Beth from Beth's Beauties sharing a fun treat box I recently made. 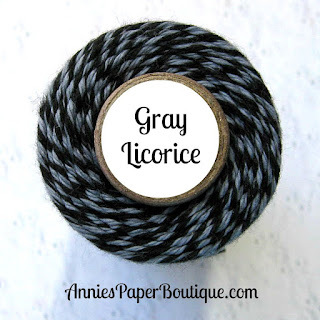 This month we are showcasing Gray Licorice Trendy Twine, which is perfect for Halloween! 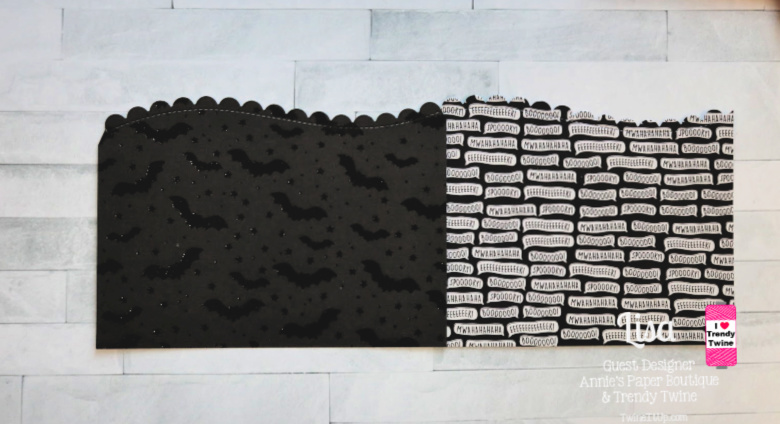 This whole project was based around the sentiment from the APB Happy Halloween stamp set that I thought was so much fun! So, I started with a Black Mini Popcorn Box, wrapped Gray Licorice Trendy Twine around it and added a witch hat tag I cut out from SVG Attic. 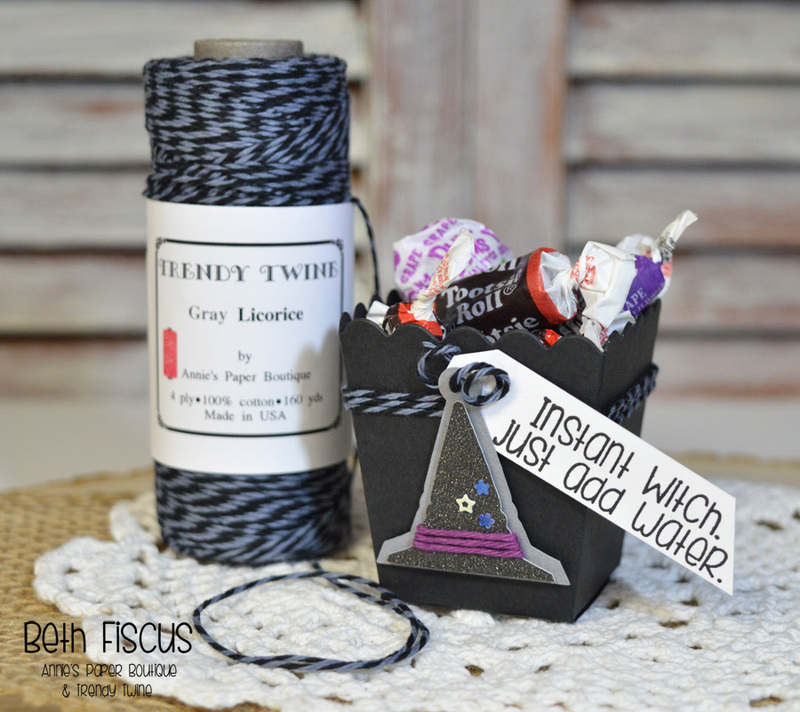 I added Totally Grape Trendy Twine for the hat band and a curlicue of Gray Licorice Trendy Twine at the top of the hat and sentiment tags. To create the curls, I cut a section of Trendy Twine, saturated it in liquid fabric starch, wrapped it around a paintbrush handle and let it to dry. Very simple, yet it adds a different visual flair to the finished product. 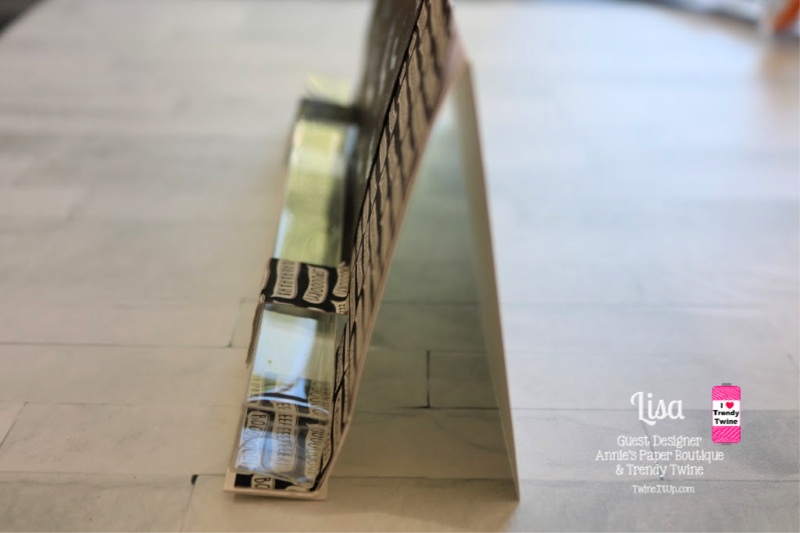 Guest Designer, Lisa from The Relativity of Paper. 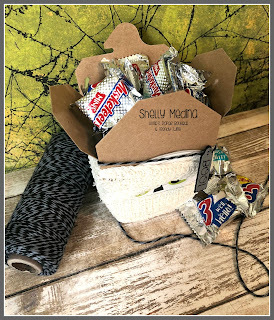 I'm super excited to be sharing another fun sweet treat project showcasing the October's featured products, Gray Licorice Trendy Twine and Skinny Candy Chutes. 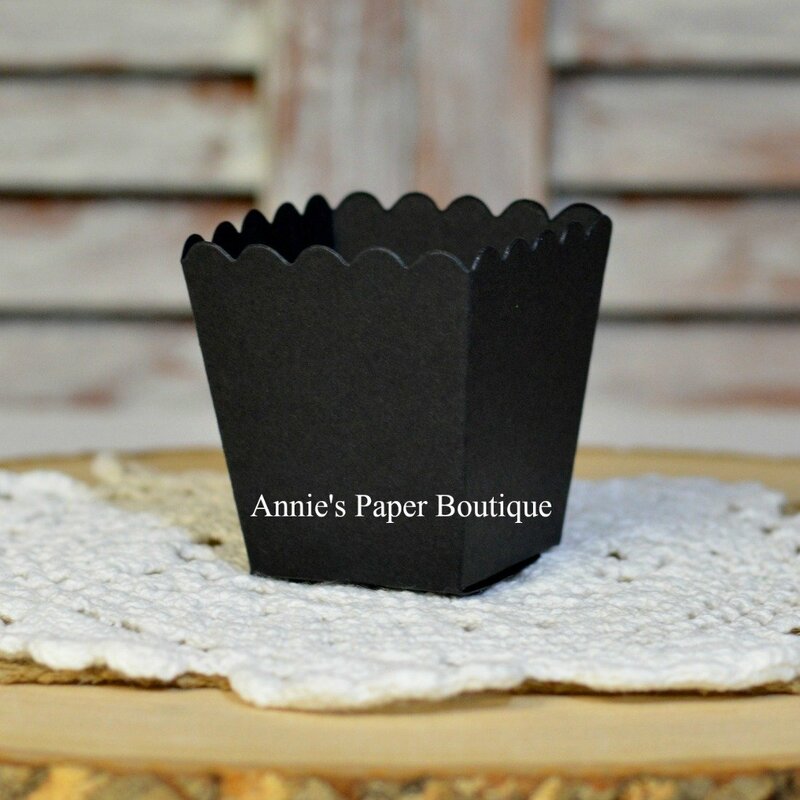 This treat holder makes a sweet gift for teachers, kids or someone in the office. Skip the envelope with this one and place it on a desk or counter. The recipient will have a nice Halloween surprise waiting for them. This is such an easy project. I have a pictorial below. 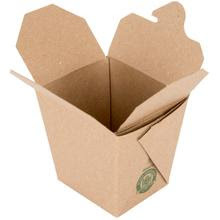 You will need a 7.75"(H) x 8.25"(W) heavy cardstock for this project. I recommend at least #80 lb, that's what I used. Lay the paper horizontally on scoreboard and score at the .75", 1.5" and 2.25" marks. Set aside. Die-cut the top of the pattern papers, align and adhere together. Trim so the pattern papers are 8.125" (W). Using a temporary adhesive or post- it tape center the pattern papers on the cover stock ABOVE the .75" score line. Flip the paper over on a paper trimmer and cut at 1.5", 2.25", 6" and 6.75" marks cutting from the .75" to the 2.25" scored lines creating straps. (See picture below) Make sure not to cut past those scored lines. Add a stronghold adhesive as shown in the picture above. 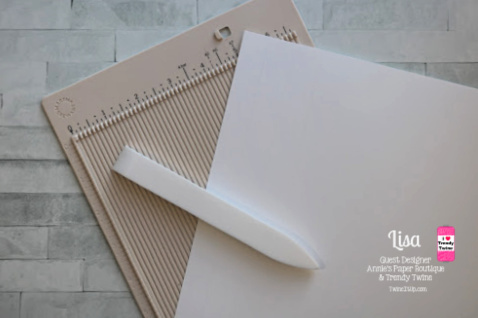 Flip the paper over and permanently adhere the pattern papers. 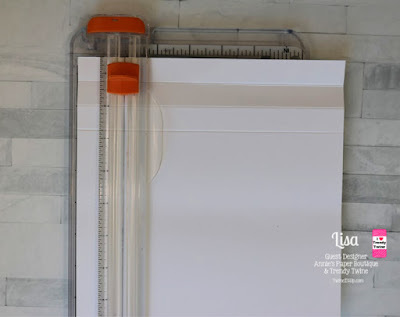 Be sure to never add adhesive over the cut lines, they need to be able to move freely. Flip back over and fold on the .75" score lined up, adhering it to the back of the next section. Score the cover at 4.25" and fold to create the card. You should be able to slide a skinny candy chute into the two straps on the front of the card. Add candy to the Skinny Candy Chute, slide it into place and secure by wrapping Gray Licorice Trendy Twine around the candy chute and tie. 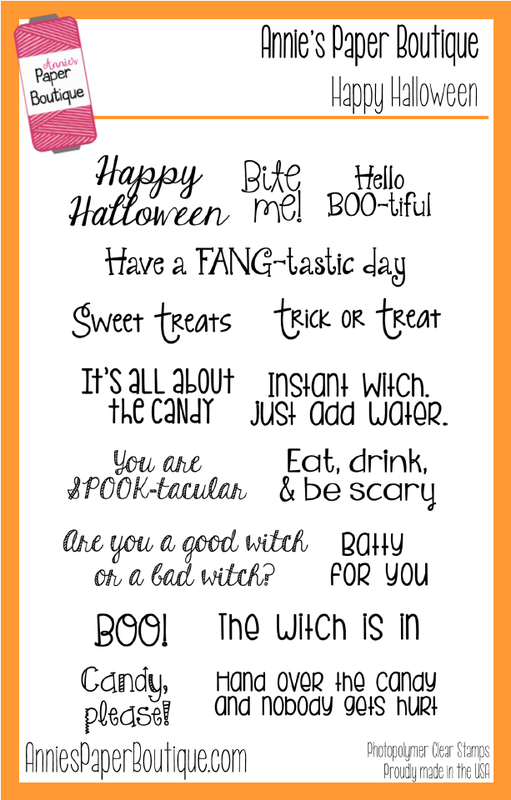 I stamped the You Are Spooktacular sentiment from the Annie's Paper Boutique Happy Halloween Stamp Set on the inside of the card. Now the fun part, decorating the front of the card. And that brings us back to this. This is Shelly from My Paper Love stopping in to share a fun Halloween treat. Oh how I love this month for all sorts of reasons one, because this month we are featuring Gray Licorice Trendy Twine and the Skinny Candy Chutes which are the perfect combination for Halloween treats. 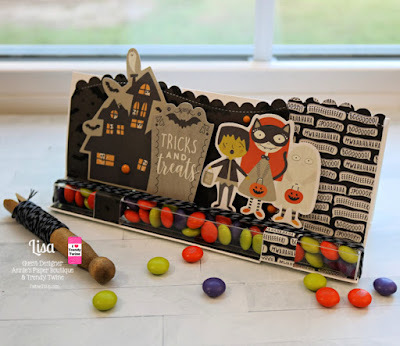 I used the Skinny Candy Chutes and filled them with Halloween themed pencils. Four pencils fit perfectly in the chute. 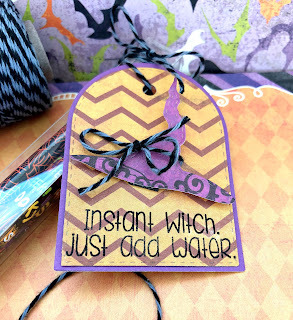 I created a fun tag that I stamped with a sentiment from the Happy Halloween set. 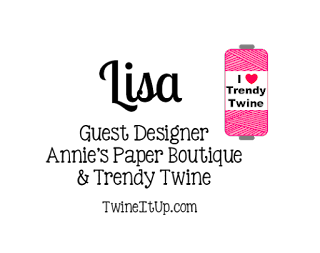 I tied the tag with Gray Licorice Trendy Twine. Here's a close up of the cute witch hat. These are just as cute and simple as can be. Would be great for classroom treats as they can be made so easily. 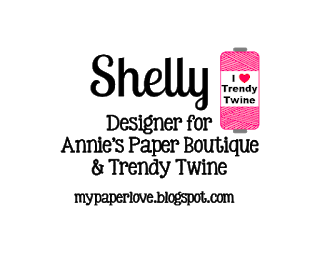 Trendy Baker's Twine - Have a FANG-tastic Day!